Last week, I was invited by Halim Brothers to join a blogger gathering at Ephyra's headquaters. This gathering was more to a bloggers day with Ephyra. I think many of you have heard about Ephyra right. For those who haven't heard of it, let me tell you a bit about Ephyra. Ephyra is a brand from Oceanlife Marketing Sdn Bhd. It was first introduced by Puan Amiza Amiruddin and her brother Mr. Zafry Idzwan Amir. They are the founder for this brand. They started with their first product, that was Ephyra Collagen. They started the company on 2012 and their motto was to introduce people with good and healthy drinks for everyone. As Ephyra Collagen was their baby products for the past three years, and in 2015 they are going to introduce more products for their consumer. So, this was a little story about Ephyra. Let me shared with you the activities that we did during the bloggers day with Ephyra. I arrived at Platinum Walk Danau Kota Setapak ( this was their HQ) around 1 pm. Upon the arrival, I was greeted by Sis Innanie Arrifin with a big smile. I love to see her smiling and said " Jemput makan Naomie, or Ayue?" "it's Naomie lah kak" I answered her. I took some food for lunch and eat in the meeting room. Sis Hani joined me and then Memey Suhaiza came. I was stunned with her appearance. What more can I said, she was beautiful. Her skin was glowing and she did not looked like having 2 kids at all. So jelly you know. She came and have a chat with us. Some of us took this chance to take some selfie, because we were informed by Sis Letty that Ephyra was having a contest among the bloggers. The most creative photos will walk away with cash prizes. Every of us took turns to take photos with Memey, and she was the sweetest, and sporting girl ever! I never saw artist that was very humble, and willing to follow the actions by the bloggers. To pose actually. hahah. Not long after that, Norman came in the meeting room. He was the "Abang Sado" of Memey. He came and introduced himself and talked to each blogger. Not only that, he was the ambassador for Ephyra too! I can said that these two lovelies really suits each other and become the ambassadors for Ephyra was their destiny. Norman taught us one thing that every job that we do must come from the heart. In Malay we called it "Ikhlas" or sincere, make sure that what ever we do must followed Allah's instruction and InsyaAllah God will ease all the way. 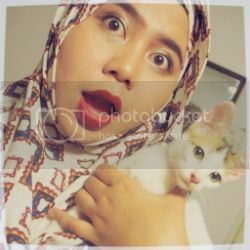 Then, Puan Amiza Amiruddin shared her story about Ephyra and some of it I have explain to you. But one thing that she mention was, the power of Bloggers Writhing was the reasons for their successful. 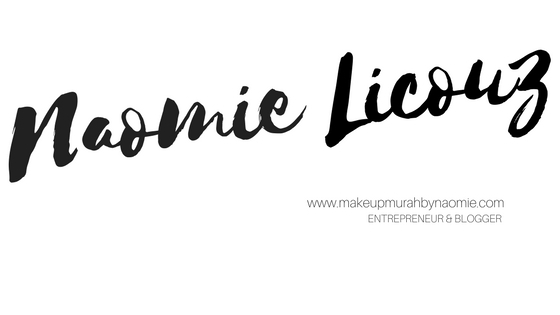 They started the company by giving product reviews to some bloggers to try out and then the products became a viral among Malaysian. Thus, in this year, she wanted to make the same with the new products. 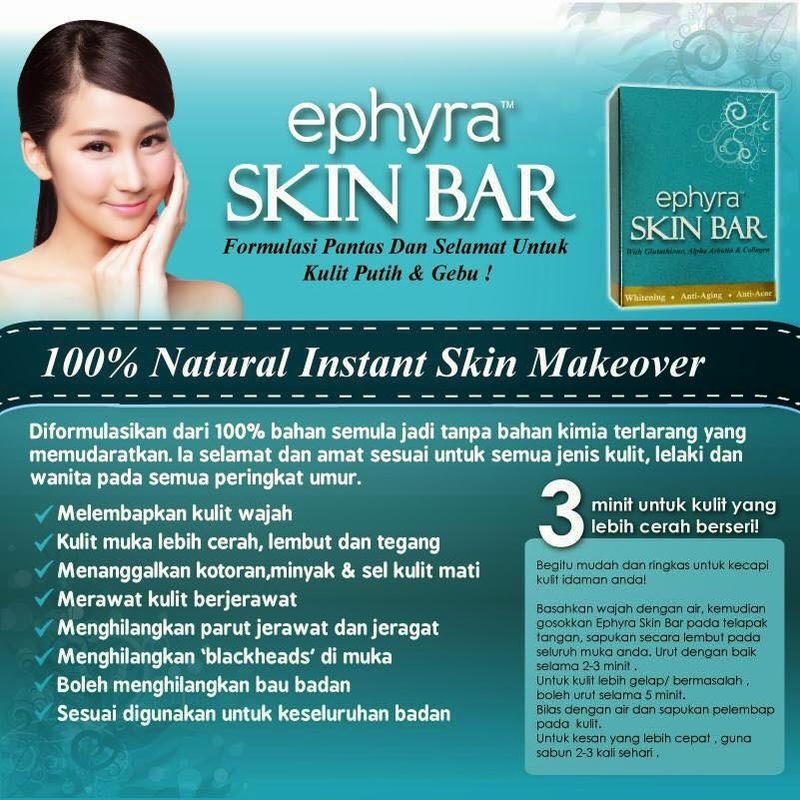 The new products are : Ephyra Skin Bar, Inteemor: Premium Juice for Women, and M2flex : Energy Drink For Men. You can read the description about each products in the photos below. Ephyra Skin Bar, a face cleanser. Then, Norman shared his experience while becoming one of the ambassadors. 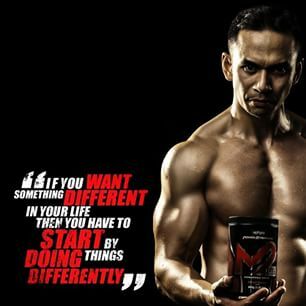 He said, M2flex really helped him to gain energy,especially as a gym trainer, M2flex helped him to maintain in shape. Of course la as a gym trainer he must look 'Sado' right? and the answer is M2flex. After their speech, there was a demo for the blogger on 'How to consume Ephyra Collagen'. We were given one bottles of Ephyra Shaker and Ephyra Collagen. Filled the Ephyra collagen inside the shakers and pour half bottles of mineral water inside it. Shake well until the drink saturated and turned into orange color. I can say the taste was a bit like Sugus. Great huh~ not even taste like any medicine at all. After that, it was Q&A session. There was nothing to ask actually. hehehe. And lastly, the prize giving ceremony for their latest online contest. The winner walked away with Iphone 6. Congratulation for the winner. After the prize giving ceremony, photo session with the bloggers, ambassadors and founders. Tu yang pening gi electric run? boleh kita saling kunjung mengunjung pasni..